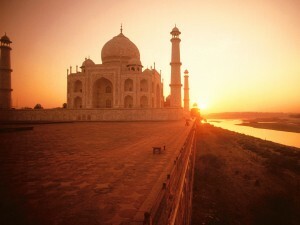 India is set to build the largest solar power project in the World, with a proposed capacity of 4,000MW. The Government has announced the massive scheme in a press release by the Ministry for Heavy Industries and Public Enterprises. The huge solar plant will be built on 23,000 acres of land (about 93 square km) belonging to Sambhar Salts Ltd, some 75 km from Jaipur, in Rajastan. The proposed plant’s capacity is about three times India’s current total solar power capacity, and would dwarf the size of any existing utility-scale solar plant around the world, both in terms of area and of power output. To put things into perspective, this 4GW plant would have a peak power output about 20 times that of what is currently the world’s largest solar PV plant in operation, the 250MW Agua Caliente Solar Project in California (which will reach 397MW once completed), and over 10 times that of the world’s largest CSP (Concentrating Solar Power) plant, the 377MW Ivanpah solar plant in the Mojave desert, also in California. No other ongoing project boasts a similar size to what has been unveiled in India, the closest being the 579MW Antelope Valley Solar Projects financed by Warren Buffet and under construction by SunPower (I will let you guess where this is also based). State-run power gear maker Bhel would build the project’s first phase of 1,000MW, which should be operational by 2016, in consortium with Solar Energy Corporation, Power Grid Corporation, SJVN, SSL and Rajasthan Electronics and Instruments Ltd. Based on the experience gained during implementation of the first phase of project, the remaining capacity would be implemented through a variety of models. Once all the phases are completed, the project would generate around 6 TWh (billions of kWh) of electricity annually, roughly equivalent to the output of a 1GW coal or nuclear power plant. The electricity will be supplied to the distribution companies of various Indian States through the National Grid. The project is expected to set a trend for mega-scale solar power development in the country and in the rest of the world. Ashwini Kumar, director (solar) at Solar Energy Corporation said that Government is considering a tariff of Rs 5.50 (about 6.6 €cents or 9 US$cents) per kWh for this project. Such price would be the lowest ever tariff for solar power in the country, down from the average Rs 7 of current solar projects. It would be the benchmark reference tariff for the upcoming phase of India’s National Solar Mission, paving the way for further cost reductions. While the technology of choice (PV or CSP) for this new project is yet to be undisclosed, the low prices being discussed and the envisaged annual power output strongly suggest that photovoltaics would be the chosen option. 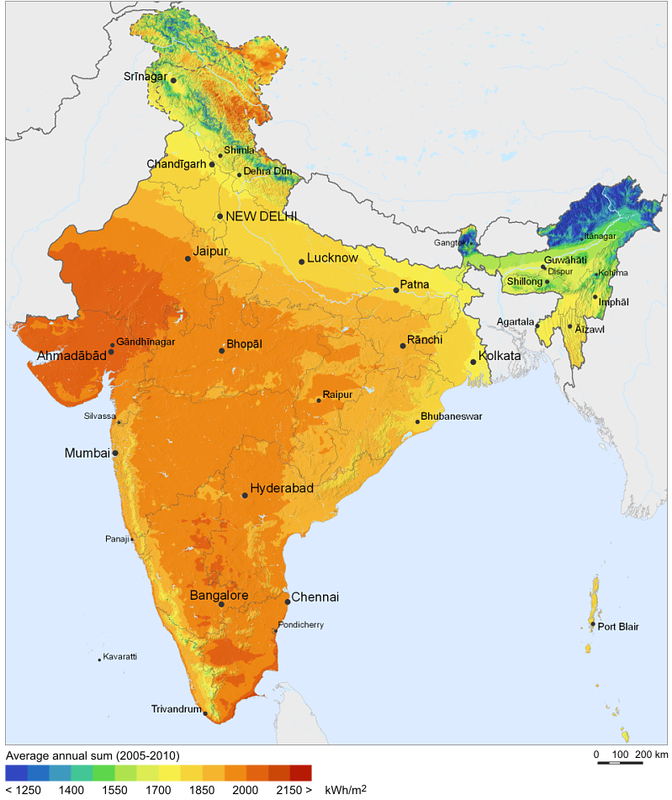 India’s Jawaharlal Nehru National Solar Mission aims to have about 20,000MW of grid-connected solar power by 2022. However, the recent announcement to set up the world’s largest solar park near Sambhar salt lake in Rajasthan is part of a much bigger, separate plan being devised by the Ministry of New and Renewable Energy (more to read on the Indian Express) to produce vast amounts of solar energy across the “wasteland” of India’s hot and cold deserts covering an area of 3,600 square km, in particular the Thar desert and the Kutch district. The arid regions of Rajasthan and Gujarat could eventually produce as much as 300,000MW of electricity, according to the Minister’s estimates, an eyewatering figure that shows the huge potential for solar power deployment in the region. While India’s solar market is still at an early stage of development, these late announcements, together with ongoing projects under construction, bode very well for the rise of this nation to top world player in the solar sector. China and Japan have taken over the world PV stage in just about a year, shifting the market focus from Europe to the Far East. India could now follow suit, and setting new standards in the process. This entry was posted in Clean Energy, How hard can it be?. Bookmark the permalink.